Chances are that you are already have a degree of familiarity to hearing and seeing Japanese. 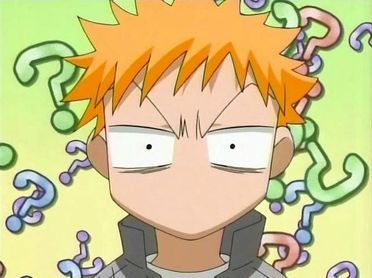 Do you want to learn how to understand what your favorite anime characters are saying with out relying on those subtitles?? For those that need a refresher/want to start learning from scratch, here we go. In the Japanese language, there are three scripts, hiragana, katakana and kanji. 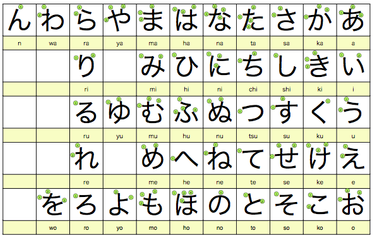 Hiragana is used in Japanese writing when describing basic native words and there are 46 total characters. Katakana on the other hand is useful when writing words that originate outside of Japan (foreigner words), onomatopoeia words and plant and animal names. There is also 46 basic characters. stems, and verb stems and is basically borrowed Chinese characters. The range of kanji is immense and the average Japanese should recognize and recall at at-least 2,000 kanji. hiragana and katakana are used most frequently. One thing to keep in mind about these characters are that they were all originally written with a brush. Therefore writing the strokes of a hiragana, katakana and kanji character in the correct order is important in getting the shape of the character correct. Now that you know some of the background information, lets get into learning some words and phrases. Just remember to not panic and take your time. 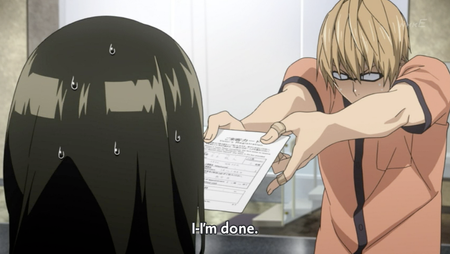 Like with many languages that involves scripts, Japanese requires you to recall characters. 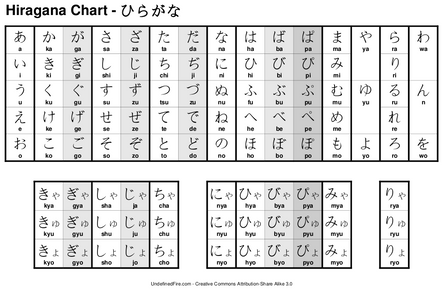 Within Hiragana there are a total of 46 basic characters. Each hiragana character represents a single vowel or consonant-vowel sound. 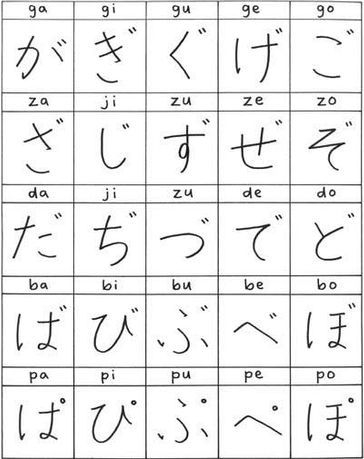 In the chart you can see all of the basic hiragana characters along with their closest sounding romanized equivalent. The five vowel sounds, a (ah), i (ee), u (oo), e (eh), o (oh), are combined with their respective consonant sounds k, s, t, n, h, m, y, r, w to reproduce almost all of the sounds. The only constant character- ん(n) typically appears at the end of words. for example おかあさん= okasan (mother). There are easier ways to memorize hiragana, it all depends on the effort placed on committing it to memory. Rather than following the traditional route of writing on pen and paper, there are many apps in the app store that can make to memorization easier. One convention in hiragana characters are that they can be written with modifiers that change the consonant sound (right). These conventions are called diacritics. These are the little quotation mark and the circle above the hiragana character. The little "quote" mark is called the dakuten and the little circle is called the handakuten. With this conventional rule you could essentially give more than one meaning to a single hiragana character, leading to less characters to commit to memory. 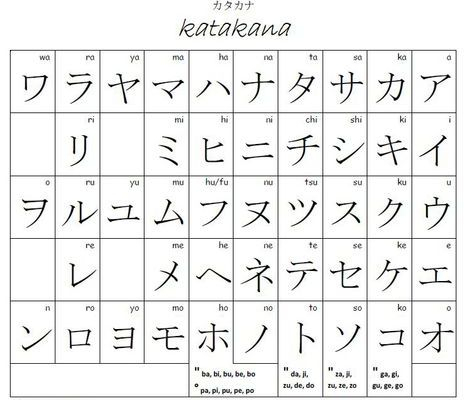 Like hiragana, katakana is the script used to represent the sounds of Japanese words. 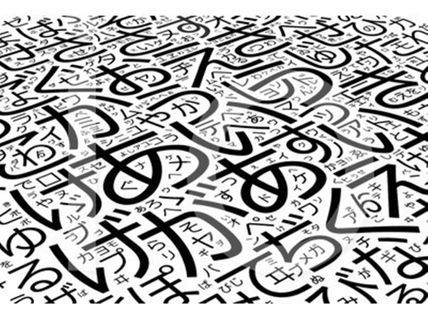 Katakana is used especially for writing foreign loan-words, often for words taken directly from English. Katakana also has a total of 46 characters. Just like hiragana, katakana also makes use of the same diacritics marks, dakuten and handakuten. There are many useful links available to help you learn Japanese phrases. The 100 Most Important Japanese Words You Should Know by Koichi from Tofugu.